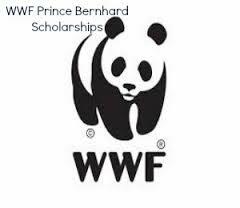 The WWF (World Wildlife Fund) Prince Bernhard Scholarships (PBS) is accepting applications from individuals from Africa, Asia/Pacific, Latin America & Caribbean, Eastern Europe & Middle East to pursue formal studies or professional training in the field of conservation. The scholarship aims to provide financial support to individuals who wish to pursue short-term professional training or formal studies that will help them contribute more effectively to conservation efforts in their country. The PBS help people be more effective to achieve conservation, nurture scholars to become conservation leaders and inspire graduates to train others. The PBS support mid-career training (up to a maximum of one year) for individuals working in the field of conservation or associated disciplines directly relevant to the delivery and promotion of conservation. Preference is given to those who seek support for studies in their country or region and provide proof that they are also seeking funding from other sources. Scholarship grant request can be up to CHF10,000. Applicant must be doing multiple-year studies if applying for support for the last year of studies. Applicants seeking to build skills in specific subjects that will enhance their contribution to nature conservation are highly encouraged. Priority is given to women and people working for non-governmental or community-based organizations. Applicants must be the nationals of Africa, Asia/Pacific, Latin America & Caribbean, Eastern Europe & Middle East. Applicants may be WWF staff or candidates working as partners with WWF. Application can be completed in English, French & Spanish language. Applicants must provide written proof of acceptance on a course. Note: Submit the application to your nearest WWF or Associate Office. For more information, please visit PBS 2015. Posted on December 12, 2014, in Africa, Career, Education, Gender, Women, Girls, Global, Opportunities and tagged prince bernhard scholarship 2015, Prince Bernhard Scholarships, World Wildlife Fund. Bookmark the permalink. Leave a comment.